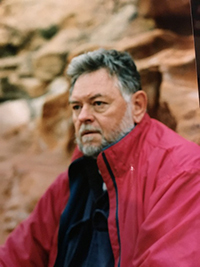 Stuart Page Stegner ("Page") passed away on December 14, 2017 in Reno, Nevada--the western edge of the Great Basin and the part of the country he knew best. Born in Salt Lake City in 1937, the only child of Wallace and Mary Stegner, he was, as he sometimes remarked, born on wheels. Throughout most of his life he divided his time between California and Vermont, with an extended stopover in Santa Fe, New Mexico. As a youngster, he attended Palo Alto High, and went on to complete his undergraduate and graduate work at Stanford University. Within three years of earning his Ph.D. he became a member of the pioneer faculty at the University of California, Santa Cruz, where he taught for over three decades and ran the Creative Writing program. A gifted and distinguished writer of both fiction and nonfiction, literary criticism (he was one of the rare writers about Vladimir Nabokov that Nabokov himself admired), and environmental ethics, he was also a frequent reviewer for the New York Times, the New York Review of Books, as well as a contributor to publications such as the Atlantic and Esquire. In one year alone he was awarded what he referred to as the trifecta: a National Endowment for the Arts, a National Endowment for the Humanities, and a Guggenheim. Not content with a life of letters, he took a three-year leave of absence from the University in the late sixties to become the deputy director of the Peace Corps in Ecuador and Venezuela. He played bluegrass guitar with the Red Mountain Boys, and was fond of reminding people that he sold Jerry Garcia his first guitar. He and his father, Wallace Stegner, collaborated on several projects, including the book American Places (with Eliot Porter). And it was well known among family that Page served as his father's editor, particularly on such books as Crossing to Safety. In the early eighties, wanting to provide an experiential element to a course he was teaching on environmental writing, he began taking students down the great rivers of the West. Thence began his avocation as a river runner: from the Colorado River through the Grand Canyon to the Owyhee at flood stage, he negotiated the big hydraulics of the American West with as much sangfroid as he did the crocodiles on the Orinoco. He was famously, memorably, inimitably funny, often raveling out stories that left everyone in the room undone. Never superior to his subject, he was often the hapless human at the center of his tales of derring-do. When one of his dozen or so books came out, its subtitle, a curmudgeon at large in the American West, became the perfect descriptor for his grumpy championing of the natural world. As a friend recently remarked, Hollywood should have optioned his personality. He is survived by his wife, Lynn Marie Stegner, his three children, Wallace Page Stegner, Rachael Stegner Sheedy (Kerry), and Mary Allison Stegner; and three grandchildren, Sheridan Stegner, Dillon Sheedy, and Emma Sheedy. A celebration of his life will take place in July 2018 in Greensboro, Vermont, where, since 1940, Page spent his summers. In lieu of flowers, Page would have wanted contributions made to the Nature Conservancy of Utah.